If you’re ready to take your commutes around West Warwick to the next level, then it’s time to take a look at the new Nissan Rogue SV models for sale in Balise Nissan of Warwick. New models offer a Motion Activated Liftgate, Nissan Intelligent Key® Technology, towing capabilty, a Blind Spot Warning, and more, and with additional Nisson Intelligent Mobility™ technology, the new Nissan Rogue SV is perfect for drivers who want to get more out of their time on the road. It even offers better fuel economy than the leading competitors. Contact us today to take your favorite new Rogue SV configuration for a test drive. Why Choose a New Nissan Rogue SV from Balise Nissan of Warwick? The new 2019 Nissan Rogue was rated an 8.6 out of 10 by the experts at Kelley Blue Book, and once you’ve taken your favorite model for a test drive at Balise Nissan of Warwick, you won’t have any trouble seeing why it’s earned such high praise. Whether you’re out near East Providence, Cranston, or located somewhere in between, your experience with us will be one that you’ll never forget. Drivers who take advantage of our rotating offers and incentives can bring home the new Nissan Rogue SV for an incredible price, with our expert representatives helping every step of the way, the process is as easy as can be. 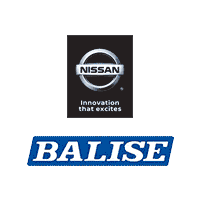 When you drive with Balise Nissan of Warwick, we’ll have your back long after you leave our lot. Our Nissan Express Service program, our state-of-the-art service center, and our knowledgeable technicians will keep you moving forward whenever life threatens to get in the way.